"IFSYS" is the trademark for machinery and manufacturing equipment focussed on feeding technology. The company IFSYS (Integrated Feeding Systems GmbH) produces machines dedicated to the feeding, orienting and palletising of mass production components via sophisticated handling and robot systems. Example parts include, for example, screws, nuts, plastic parts or complete assemblies. For detailed information on the products and solutions offered in the field of component feeding systems, please visit www.ifsys.com. EMSO (Electrical Mechanical Solutions GmbH) is part of the Group and provides complete solutions for custom-built machinery. 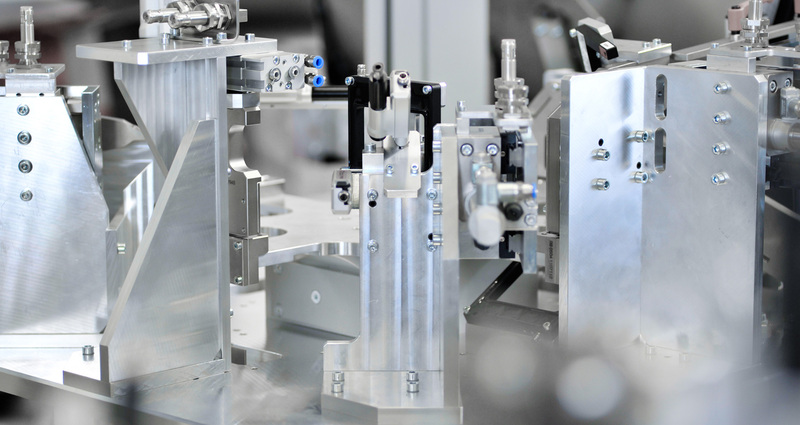 Solutions range from manual work stations to complex fully automated assembly lines. In addition, JOPP employs dedictated staff in its production plants for the design and manufacture of machinery for in-house use. Furthermore, EMSO also provides capacity for single piece production.